Albert Rooks has worked to establish and strengthen the Passive House Standard in North America. In 2010, he founded Small Planet Supply Inc., a company that imports and distributes passive house components. The company currently has branch offices in Tumwater, WA and Vancouver BC. 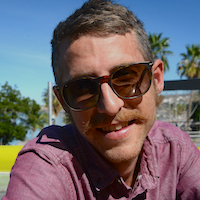 In 2015, he co-founded CertiPhiers Cooperative with Tad Everhart. CertiPhiers is an internationally accredited building certification company that verifies projects are built to the International Passive House Standard. With over 25 years experience in construction and building science, Alex Boetzel is a Certified Passive House Consultant and has consulted on dozens of LEED, Passivhaus, high-performance and green residential projects in the US as well as in Europe. He plans and executes Green Hammer’s innovation concepts, technical training, including building envelope and HVAC, and ensures quality control of envelope, energy, and water systems in design, construction, and commissioning. Under his leadership, Green Hammer has consulted on over 200,000 square feet of commercial multifamily, office, retail, academic, industrial, and single family residential Passivhaus projects designed, built, or retrofitted in Oregon to date. Alex plays an essential role as a company wide resource for brainstorming and ensuring we come up with the best solutions to any challenge. His role as Chief Innovation Officer allows him to flow through all of our company operations, teams and projects as a ‘free radical’ ensuring his wisdom and innovative expertise is pervasive throughout the organization. Alex, a native Berliner, might be caught out dancing at 80s night with his loving wife Rebecca, or at home playing the drums with his 'free radical' son Jude. Otherwise he might be chasing his chickens, working on his home, or brewing beer and dreaming of the day Green Hammer 'brewed' beer in addition to ‘built’ for life. Beth Campbell is a project manager with Birdsmouth Construction, and has been in the high performance and green building fields since 2004. She is a PHIUS certified Passive House Builder, and completed the Sustainable Homes Professional course through Earth Advantage. She has been on the PHnw board since spring of 2016, and is an advocate for women in the building trades. Beth lives in Portland, OR. 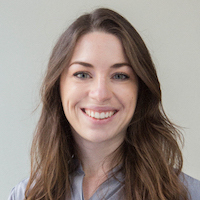 A project architect at Nicholson Kovalchick (NK) Architects, Brittany's work focuses on high-performance urban infill design, including Pax Futura, Seattle’s first multifamily Passive House building. 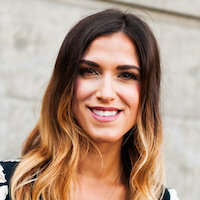 She graduated from the University of Oregon with a master’s degree in architecture and earned a Bachelor of Science degree in architecture from the Georgia Institute of Technology. Brittany helped spearhead PHnw’s recent Seattle exhibit of the Ice Box Challenge, a public science experiment developed in Brussels, Belgium and Vancouver, BC to demonstrate the benefits of Passive House design and construction. She is a regular speaker on Passive House design, most recently sharing NK’s approach to PH mechanical design at the PHnw spring conference. Outside of the office Brittany enjoys exploring the Northwest’s great outdoors. Dan Whitmore has worked in construction since 1987 as a carpenter, builder, and consultant with additional stints as a designer and FEMA Inspector. 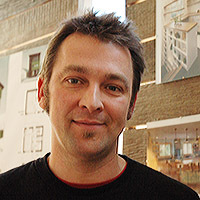 Since 2009 he has consulted on and/or built more than twenty passive house projects. 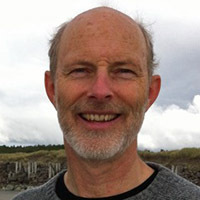 As an instructor for PHIUS, co-developer of the PHIUS Certified Builder Training program, Chair of the Passive House Alliance US (PHAUS) and a founding Board Member of Passive House Northwest, his calling card sometimes says ‘Passive Obsessive’. Dirk is a Sustainability Professional and Policy Consultant dedicated to a just transition to low-carbon climate-resilient development. Recognizing the need for furthering policy advancements and code development, he joined the board to help living and working in Passive House buildings mainstream and affordable for all. After over a decade of owning a high tech company in Southern California, seven years ago Dirk decided to move back to his home turf in Portland Oregon and transition to working on policy and sustainability issues with a focus on the built environment. He studied Political Science and Sustainability at Portland State University (BA, ‘14), holds a Graduate Certificate in Sustainability (‘17), and is currently working part-time on an MPA with a focus on Natural Resources Policy and Administration. When not working on sustainability issues you can find Dirk either flying his paraglider on the coast or in the mountains, or at home entertaining his identical-twin toddler girls. Joe Giampietro is a principal at Nicholson Kovalchick (NK) Architects. With more than 30 years of experience in real estate development, land use planning and architecture, Joe is passionate about reducing the carbon footprint of buildings to positively impact the health, comfort and resiliency of our communities for many years to come. At NK, Joe oversees all projects during the production of construction documents through the construction phase, guiding project managers to provide high-quality design services to clients. He is also NK’s resident Passive House expert, providing high performance design strategies to reduce energy use, increase durability and comfort, and lower maintenance costs. 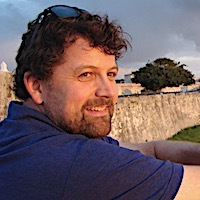 Joe is an accomplished expert on Passive House design and construction. His passion for designing high-performance, low-energy buildings led him to develop one of Seattle’s first Passive House projects, the Mini-B Passive House, as a demonstration. Joe earned a bachelor’s degree in architecture from the Catholic University of America and dual master’s degrees in architecture and landscape architecture from the University of Pennsylvania. He is also a Certified Passive House Consultant. Joe is a founding member of Passive House Northwest and an active member of the Sunset Hill Community Association and the Seattle chapter of the Northwest EcoBuilding Guild. Aside from his professional interests, he enjoys sailing small sailboats, playing basketball, and woodworking. 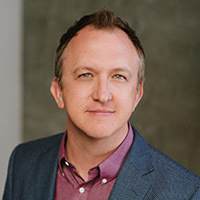 Joshua Salinger is Founder and President of Birdsmouth Construction, a residential building and design services company located in Portland OR. Josh graduated from the University of Wisconsin-Madison with a double major in Zoology and Conservation. In 2007 he started Birdsmouth Construction with the goal of designing and building beautiful, high performing homes that transform and improve the built environment. He has received certifications from Earth Advantage’s Sustainable Homes Professional course, and graduated from the Passive House Builders Training program administered by PHIUS. He lives in the Mt. Tabor neighborhood of Portland with his wife and 2 children. He enjoys playing guitar, cooking, bemoaning the inefficiency of his house, and making the world’s best cup of coffee. Mike Mike Fowler is an architect at Mithun in Seattle, WA. He has 25+ years of experience on award-winning projects including two net-zero energy designs. 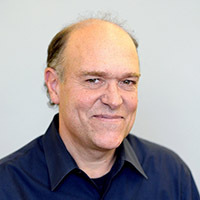 He has served on two Technical Advisory Groups for the Washington State Building Code Council (Energy Code and Green Building) and has chaired the Codes and Planning Policy Committee for AIA Washington Council. In a 2011-2014 stint away from architecture, Mike managed the Multifamily New Construction and the Residential New Construction energy efficiency financial incentive programs at Puget Sound Energy. There he created the first whole-building residential measure with an incentive for predicted low-energy use design and a bonus incentive for actual metered energy use hitting in the design target range. Mike has authored and submitted a peer-reviewed outcome-based energy budget code proposal (2012 / 2013 / 2015 versions) to the state of Washington. The proposal sets an energy use budget for eleven occupancy types, establishes a road map to achieve 70% energy use reduction by 2030 compared to a 2003 baseline, and requires the future ability for the site and/or building design to generate 40% of the energy budget with renewable energy. Recently, Mike co-founded the Council on Airtightness Performance Excellence (CAPE) with the group goal to become a regional resource for policy, design, and construction practice. 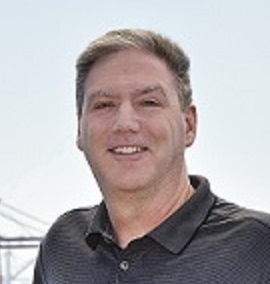 Mike Steffen is Vice President and General Manager of Walsh Construction Co., based in Portland, Oregon. He is an architect and builder committed to making better buildings: healthy environments for living that are highly energy efficient, comfortable and durable. Mike’s experience includes several affordable housing projects using Passive House measures and techniques, including the Hatfield Building rehabilitation and Ramona Apartments - both in Portland – and, most recently, the Orchards at Orenco workforce housing in Hillsboro. When not making better buildings, Mike likes to explore the landscapes, cultures, foods, and beverages of Cascadia and the American West. With a Passion for making the world a better place and reducing the effects of climate change, Nate worked in habitat conservation and restoration with the SCA as well as studying and practicing organic farming and the policy involved. Nate quickly realized that a big difference can be made in the building industry. 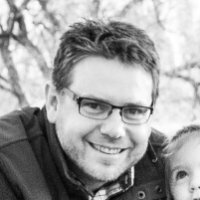 Taking his experience and knowledge to work as a commercial and residential Carpenter in Portland, with a certificate in Building Science and Net Zero Design as well as a certified PHIUS Builders training, Nate has worked on several Passive House and Net Zero projects with Birdsmouth Construction, and collaborated with other builders in Oregon. Sara Jones has worked to strengthen the Passive House standard in North America as Chief Operations Officer of Small Planet Supply Inc., a multi-national company that imports and distributes Passive House components in both the United States and Canada. In 2015, she became a founding member of CertiPHIers Cooperative, an internationally accredited building certification company which verifies that projects are built to the International Passive House Standard. As Treasurer, Sara brings with her knowledge in business management and accounting. Sara lives in Olympia, Washington and in her free time enjoys spending time outdoors with her husband and trusty dog Ziggy. Scott is the founder and manager of Hinge Build Group, LLC, a design-build firm that specializes in bringing high-performance building projects to market. Hinge focuses on building to Passive House standards while incorporating foam-free building techniques with locally sourced materials. Scott has been involved with the Passive House community since becoming a Certified Passive House Consultant in 2012. 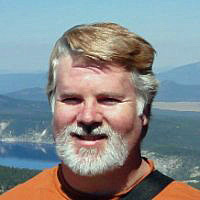 He has created webinars for the Passive House Institute US & lectured on various high-performance building topics. With a masters degree in architecture from the University of Oregon, and almost 20 years as a contractor, Scott has helped many clients as well as other builders & architects achieve both design & efficiency goals while staying on budget. Tad Everhart is a Passive House Institute-accredited building Certifier at CertiPHIers Cooperative, promotes Passive House designers and products in books published by Low Carbon Productions, assists innovators bringing energy-efficient building equipment to market, and advises designers and builders creating new Passive Houses/plexes and EnerPHit deep energy retrofits. Tad’s family “futurefitted” their home beginning in 2009 to EnerPHit performance--reducing overall home energy consumption by over 50% and heating energy demand by 70%. 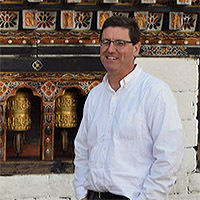 As the CEO of NK Architects, Tim oversees the firm’s core business operations and strategic direction in the Mid-Atlantic and Pacific Northwest markets. Under his leadership, NK is bringing together Passive House design strategies and code incentives to make zero-energy multi-family housing projects financially feasible for its clients. 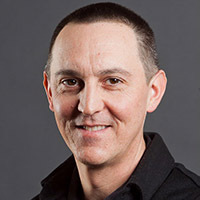 Weyand brings 21 years of experience in business management and design from previous firms in Seattle and the East Coast. Tim is driven by his mission to demonstrate how Passive House building techniques can economically be used nationally in market-rate, multi-family housing. Tim makes his home in Bainbridge Island, and on his free time enjoys navigating remote areas of the Salish Sea, Olympics, and Cascades with his wonderful wife, Kathleen, and their three children. Wayne has spent the majority of his working life in the field of construction and believes strongly in the importance of open-communication and continuing education. His eye for detail is rarely off, and his depth of experience in every phase of construction makes him an outstanding resource for our customers. In addition, Wayne enjoys the challenges and complexities of custom remodeling and his commitment to producing the highest possible quality is at the heart of his success. Wayne is especially appreciative of his employees and is grateful for their consistent efforts in fulfilling his vision and sustaining the reputation of the company over the years. Wayne is an active participant in the Master Builders Association where he annually participates in the Rampathon and embraces both peer-to-peer education and fellowship. He is also an active contributor to the Phinney Ridge Neighborhood Association. 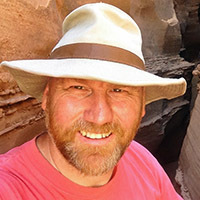 Wayne enjoys seeing the world including spending 6 ½ years abroad in such countries as Sudan, Turkey and Isreal. 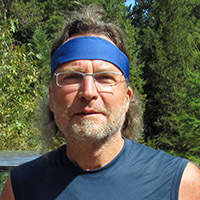 At home, Wayne enjoys many outdoor activities, especially backpacking and bicycling anywhere in the beautiful Pacific Northwest. 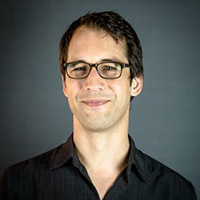 Zack is Chief Marketing Officer at NK Architects, a Seattle and Pittsburgh-based architecture firm dedicated to accelerating the clean energy transition through zero carbon building design. He studied human biology, with a focus on human ecology, at Stanford University (BA, ’93). Since then he’s worked as a policy advocate for progressive regional planning, a developer and leader of nonprofit community organizations, a taiko (Japanese drum) musician, and an evangelist for Passive House construction. 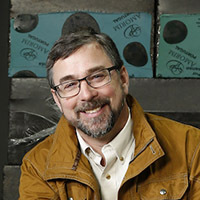 Raised in the Midwest and trained as an electrical engineer, in 2006 Graham S. Wright left the Eastman Kodak Company after ten years working on toner-based printing, to pursue an earlier interest in energy efficiency and renewable energy. 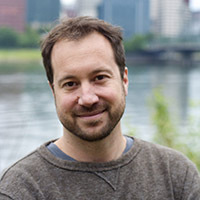 Trained as a passive house consultant in 2008, he has lived in Portland, Oregon since 2009, first practicing independently, and later becoming an instructor, then a certification caseworker, and currently Senior Scientist, for the Passive House Institute US. 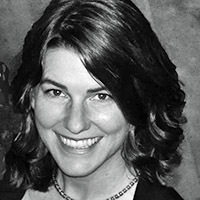 Maren Longhurst, CPHC, LEED AP, WELL AP is completing her Masters in Architecture from Academy of Art University in San Francisco and working as a project manager and building science geek for Sam Rodell Architects in Spokane, Washington, certifying the 2015 PHIUS Institutional Project of the year. She is an explorer, student and mom, with a passion for high performance architecture. Markus Barrera-Kolb has been practicing architecture for 18+ years and found Passive House in an attempt to make a meaningful difference through his profession, in particular on climate change, by far the most pressing challenge of our time. He is a founding member of Passive House Northwest and is proud of the growth and impact the organization has achieved over the past eight years and of the Passive House buildings he's been designing and modeling. In 2013 Michelle co-founded Ivon Street Studio, which is dedicated to pragmatic creativity in the arts, including architecture, music, and visual arts. 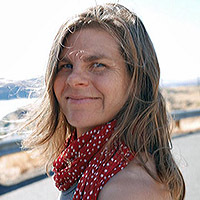 Previously, she co-owned Departure Architecture, where she designed some of Portland’s most progressive residences, including the Full Plane Passive House. At Ivon Street Studio, Michelle continues her focus on the design of forward-thinking and climate-resilient projects that support the local and regional economy, including Passive Houses and Living Buildings. 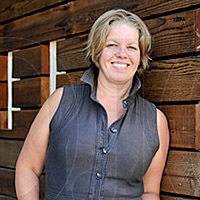 Her volunteer efforts support these missions as well, and she currently serves as president of Passive House NW (PHnw) and co-chair of the Build Local Alliance.